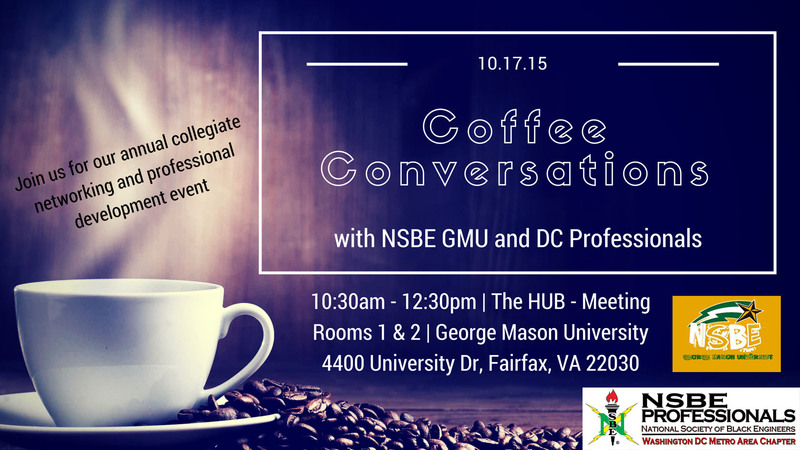 Join us for our annual NSBE DC Coffee Conversations in collaboration with the NSBE George Mason University Chapter! NSBE college students will have the opportunity to meet several professionals to discuss tips on networking and the importance of professionalism as it relates to the transition into the workforce and graduate school. If you are interested in volunteering, then please reach out to the College Initiative Chair, Jamie Jackson, at collegeinitiative@nsbedc.org.